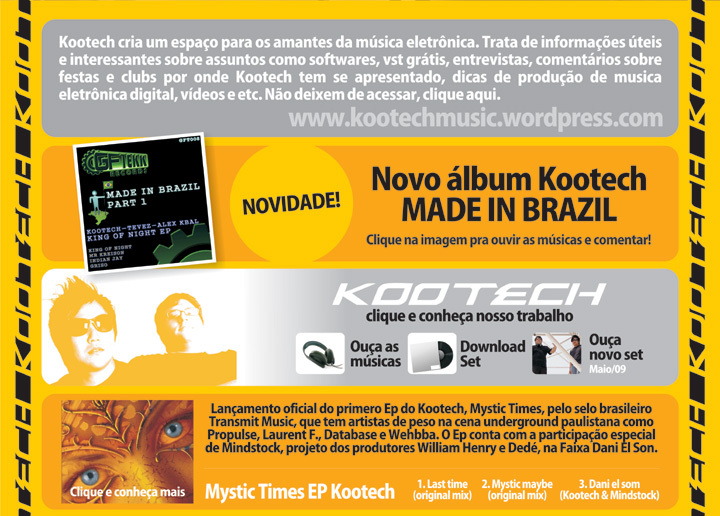 Proximos Releases do Kootech! – intoxikate digital! Em breve vai sair pela label inglesa Intoxik.ate digital do Dj e Produtor Gaz James Uk um remix do Treesixty outro produtor ingles top, no ep alem do rmx do Kootech conta com um rmx do Dj de Curitiba Rodrigo Carreira , e logo apos o segundo ep do Kootech Annalize com duas faixas. 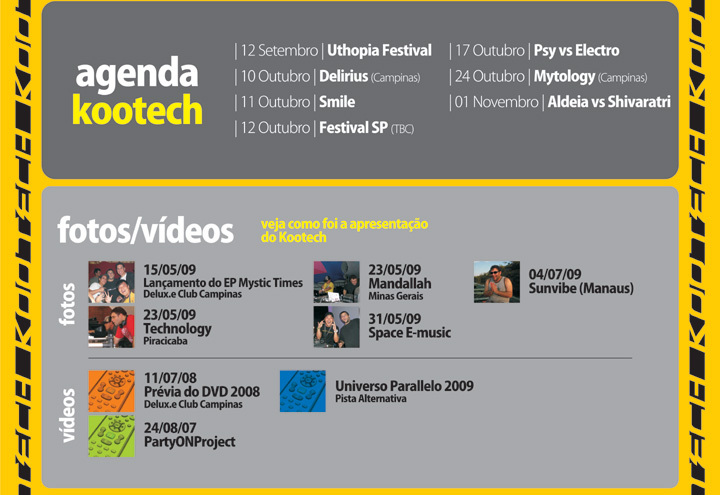 Segue o video do dj Ingles Gaz James , tocando uma musica do Kootech , no Uthopia Festival em Aguas de São Pedro, Brasil. Gaz é dono do selo Toxik World / Intoxikate, pelo qual o Kootech tambem faz parte do casting de artistas. 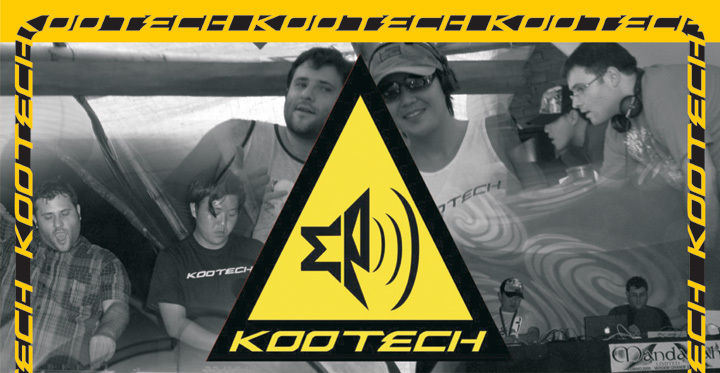 Galera segue o link do Beta do Kootech Live!!! 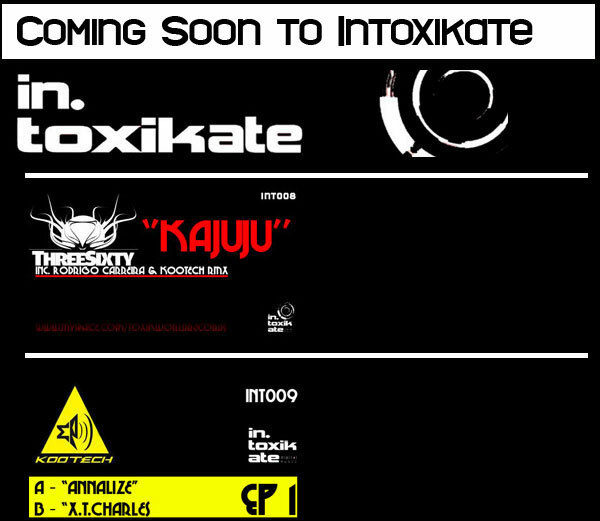 Its time for the next release on In.toxikate digital …. We are back bigger than ever with a storming standout release with some high profile remixes for a good measure…. A massive techno number, this has an almost oldschool techno feel centered around a latin rhythm that really grabs your attention. The Main trumpet hook in this track is as stand out as it gets…… a real gem that will destroy your dancefloor in the most systematic and subtle way possible. Up next is a special Spektre remix, a rolling driving monster!! !…the boys slice and dice the sound with tons of abstract flavour making intelligent use of the parts. This is a amazing remix worthy of your attention and Is set to explode and Dancefloor it comes into touch with…. One of the most brilliant producers on the tech house scene ‘King roc’ teams up with brazilian legend Paulo Jardim to bring you a chunky housey affair.Features groovy bass and tons of bubbling flavour ideal for an early warm up hour. Already getting support from many top players with this rocking little remix. These boys are on fire…The crazy duo from Campinas have pulled out a lush brazilian flavoured remix with slow building keys and rising tension. Thanks for the promo my tune is the spektre remix, this remix for sure will be plaied in my set. Full Support!! Cheers for sending, I really like this vibe on both mixes, the king roc & Paulo Jardim I will play in warm ups and the others later on in the night, full support for both mixes on the radio too.. 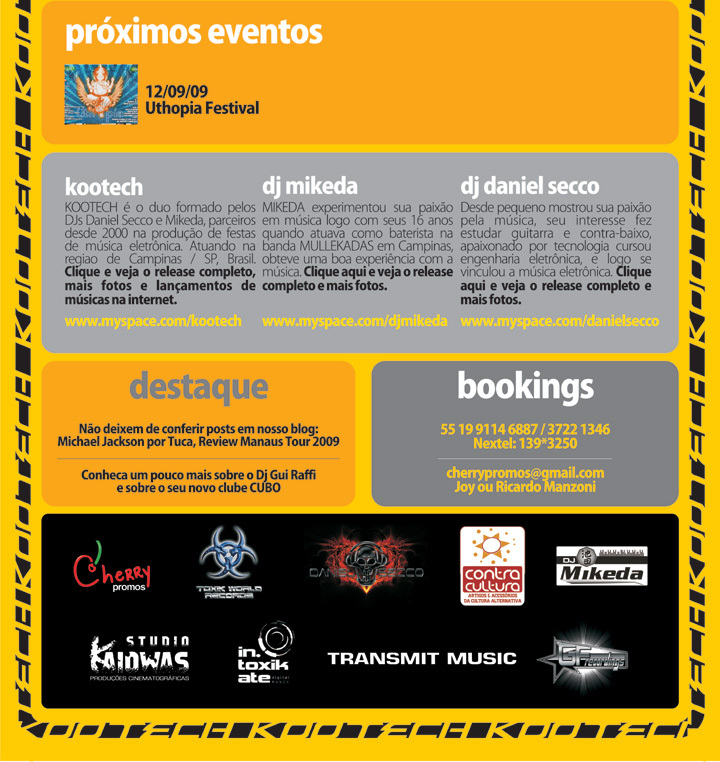 Wow!, really lovin the Spektre remix of Fajita, will be supporting this, this is the real shizzle !! Spektre mix is the one for me! 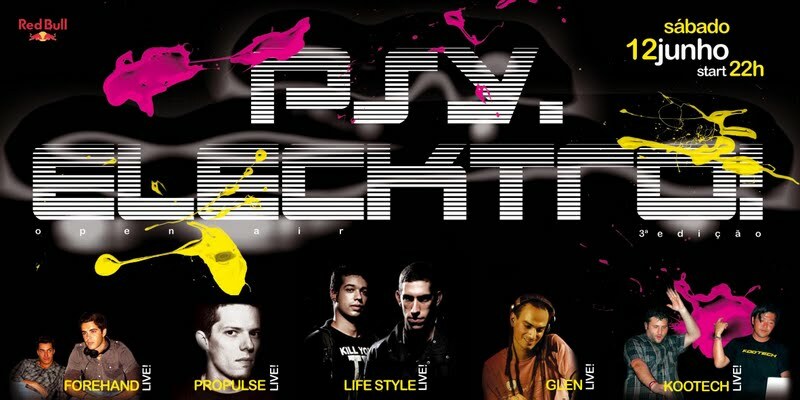 The spektre rmx, groovy as i need … full support! Spektre remix is the one for me! really cool! Think it should do well mate could have done with that on my tour of brazil! Mate, the original is gonna be huge I swear! I think it’s amazing as is Spektre’s remix. Quality quality stuff!! Have you sent this to Carl Cox? Def his thing and if he likes it, he’ll pass it to his peers.